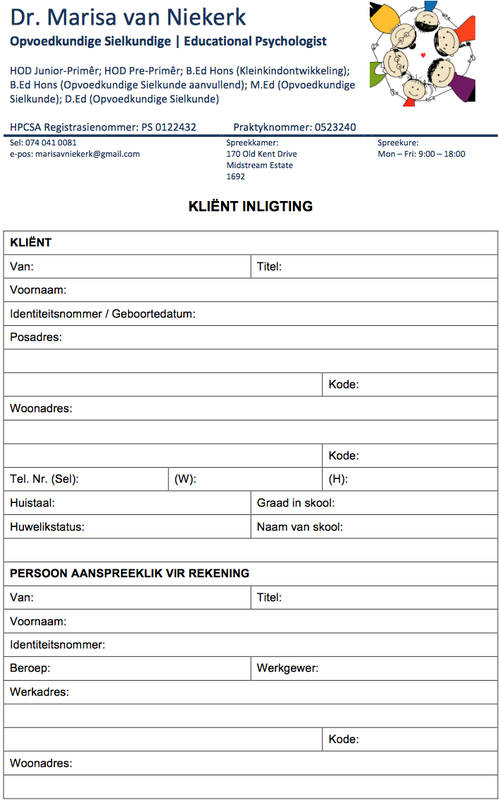 Please download and complete this document (either in English or Afrikaans) before your first visit to my practice. 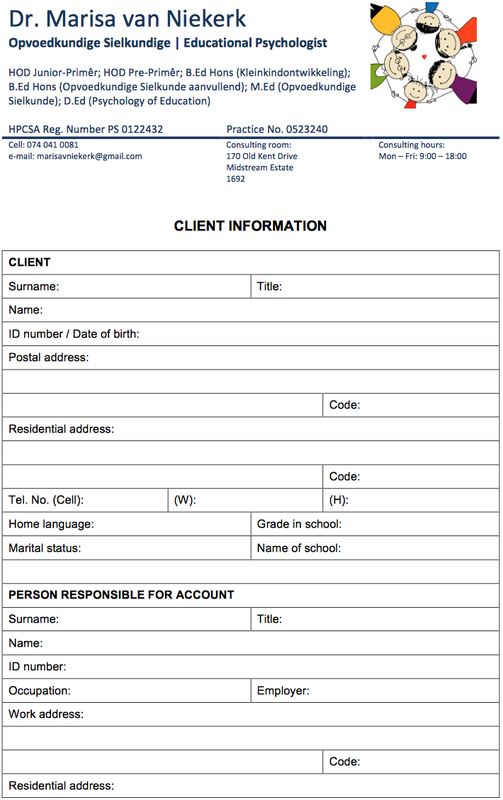 You can also fill it in during your first visit, but by doing this beforehand, a lot of time can be saved. If you need directions to my practice, please click on this link.